Double 'O' Surf's, 'BEEN THERE, SURFED THAT'® ,since 1995, is a popular and expanding surf oriented sticker(decal) product line, designed and made in Southern California, featuring many of Californias', O'ahu, Kaua'i, Maui, and Bajas' famous, infamous, and not-so-secret surf spots. We will be adding more surf sticker(decal) surf areas and products to go along with them. So please keep visiting our site and ordering our unique and collectible surf oriented products. 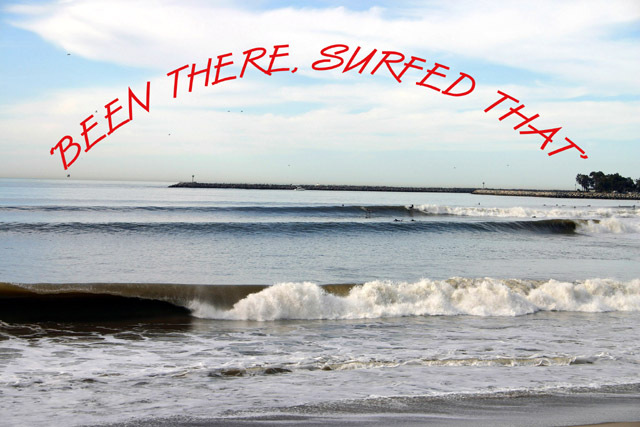 So click the DECALS button above to check out and get your LICENSE TO SURF (for only $2.50 USA dollars by) buying just (1)one or (100)one hundred of the 'BEEN THERE, SURFED THAT'® Decals. You can also buy Double 'O' Surf T-Shirts and more for all of the surf breaks that are featured on the decals. Just click here for Double 'O' Surf T-Shirts & More at the Cafe Press store..